9/11/2012: The DLC pack's new Transformers in action. 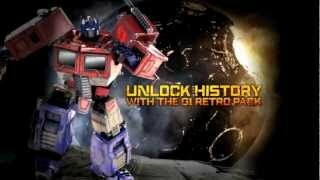 7/27/2012: Play as G1 Optimus Prime in single and multiplayer with the Optimus Prime G1 Retro Pack. 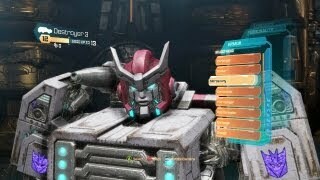 7/25/2012: A look at the player customizations, game modes, and in-game action from the game's multiplayer side. 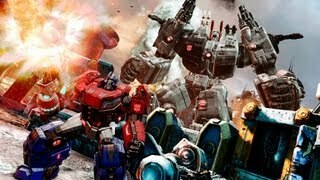 7/5/2012: The Autobots fight for their lives in the last moments of the Transformer homeworld. 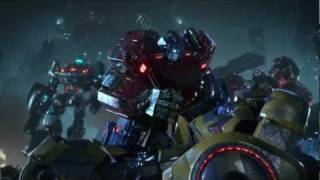 6/14/2012: Peter Cullen and High Moon Studios Game Director Matt Tieger talk about Optimus Prime. 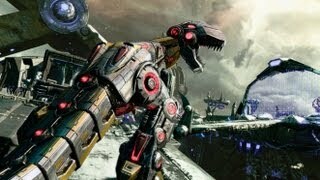 5/24/2012: Yes, you'll be able to play as a Dinobot in Transformers: Fall of Cybertron. 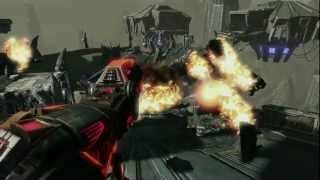 3/29/2012: The team at High Moon Studios gives inside details on the gameplay in Fall Of Cybertron. 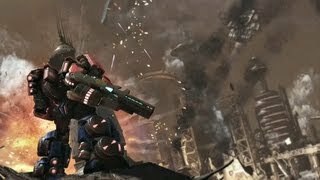 3/29/2012: The Autobots make their last stand to defend their home planet from the Decepticons.